WHEN I was a little boy, I eyed handsome gunslips with envy. They wore the scratch marks of a score years of briar; of hill and dell, gorse and mudflat. I’ve never felt I’ve grown up enough to own one of these gunslips; it was privilege enough to be allowed to carry them on occasion as a lad, smelling their rich scent of oil and dog slobber. I’ve always bought myself fabric gunslips because they’re infinitely cheaper and because – well, I felt I hadn’t earned a full-blown leather masterpiece yet. And then last year, I spotted a cartridge bag in a sale at an absurdly low price. It was a fine leather stitched example, the tanned, dark skin hard and ready to be lovingly oiled to soft, pliable use. I couldn’t resist. 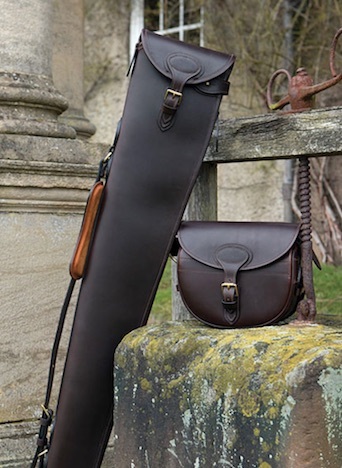 And once I proudly sported it in the field – dunking it in mud beside my peg; resting it unceremoniously on a moss-sodden willow bole as I waited for Winter pigeon – I realised that now I looked silly with a fabric gunslip and a mismatched cartridge bag. The opportunity rose to own an Albion England gunslip. The crème de la crème gunslip of my childhood dreams. Life works in funny ways, you know. There aren’t any shortcuts worth knowing for the important things in life; they come to you when you’ve earned your right to have them. The slip itself came in a mighty cardboard sleeve. Inside was a mighty cloth bag with a drawstring. Inside the mighty cloth bag was a leatherman’s work of patient art. Handstitched, lined with fleece so luxuriant, it’s reminiscent of Brian Blessed’s beard. The buckle is a superbly sturdy affair, stiff in the fingers in its new, virgin state. 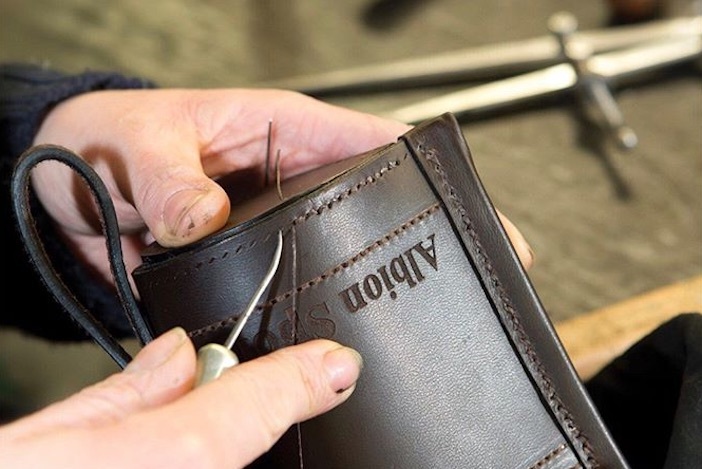 A rounded block foot is sewn into the barrel end of the slip to allow them to comfortably rest in transit (one must carry a shotgun slip over the shoulder with the barrels pointing earthwards. I’ve never really known why – they’re just as safe pointing at the sky, but there it is). You can buckle in your double-barrelled beauty in full padded protection or use the side zip to get to it if you prefer being quick on the peg. My first priority when live on my peg is to tether the dog – then retrieve and load the gun. I’m always amazed at the number of fellow Guns who mill about chatting/strolling across the plough/fiddle on their phones/have a pee when birds are already beginning to drift over their peg. You never know when a blank drive is coming up for you – so every shot counts. I like to make the most of them, so this quick access feature is a Godsend. 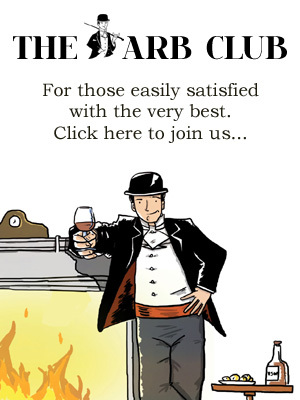 The Albion England is a stiff and weighty beast to begin with – which adds to its sense of worth and longevity, to be honest. Since the first time I’ve taken one out in the field, I’ve soaked it through (my gun inside remained dry); I’ve dropped it in the mud repeatedly; and I’ve let it share space with countless smelly spaniels and a sheep trailer packed with fellow Guns full of raucous bonhomie and sloe gin. Each night, after seeing to the dog and cleaning the gun, my thoughts have turned to the Albion. With mine came a little canvas bag containing leather soap, leather wax and two sponges to apply them. Once dry and wiped down, I lovingly clean then work the bright yellow wax into the leather, content in the knowledge that in years to come, it will retain a rich patina. Each blemish, ripple and bend will have a sporting story to tell. I don’t suppose I’ll have anyone to leave it to in my Will – neither of my girls show any interest in taking up a gun, unfortunately – but heirloom it is, nonetheless. Maybe I’ve left it a bit late to select the only gunslip I’ll ever need. But at least I’ve got there eventually. With luck, we’ll have a good few seasons in front of us. And I’ll treasure it just like that little boy would have done, all those years ago. Albion England Full Zip Gun Slip in Choco Leather, £549, Albion England Leather Care Kit, £41, www.albionengland.co.uk.